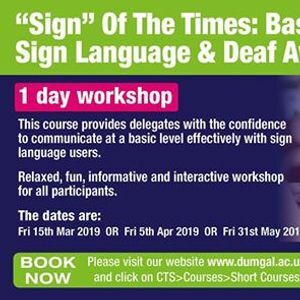 A 1 Day workshop aimed at front line staff, and will provide delegates with the confidence to communicate at a basic level effectively with sign language users. 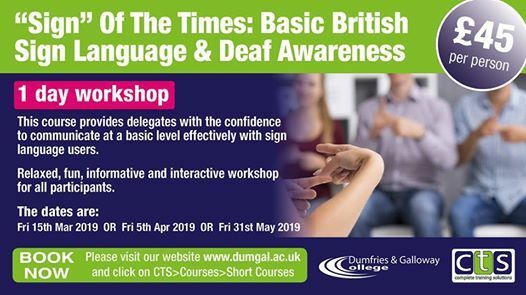 Delegates will also gain a better understanding of Deaf Awareness and the barriers that users face. 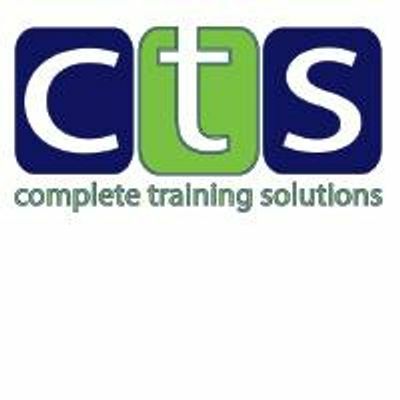 This is a relaxed, fun, informative and interactive workshop for all participants.